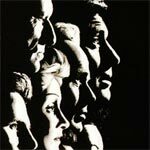 Judgment at Nuremberg is an engrossing, engaging and thought provoking court room drama featuring incredible performances from Spencer Tracy, Burt Lancaster and Richard Widmark. The Blu-ray released by Twilight Time offers up incredible video and audio transfers and the bonus material, albeit old, is well worth watching if only for historical value. 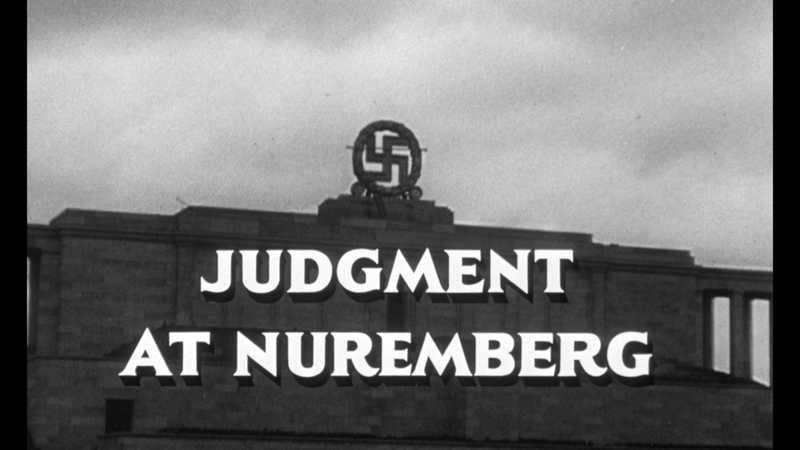 Producer-director Stanley Kramer’s Judgment at Nuremberg, considered by many to be the legendary filmmaker’s masterpiece, is a grave, near-documentary attempt to deal with the Holocaust, war crimes, the complex moral-political impact of the Nuremberg Trials, and the very nature of justice itself. With a thoughtful and intelligent screenplay by Abby Mann (based on his own award-winning television play), the film features amazing performances by Spencer Tracy, Burt Lancaster, Maximilian Schell, Richard Widmark, Marlene Dietrich, Montgomery Clift, and Judy Garland. 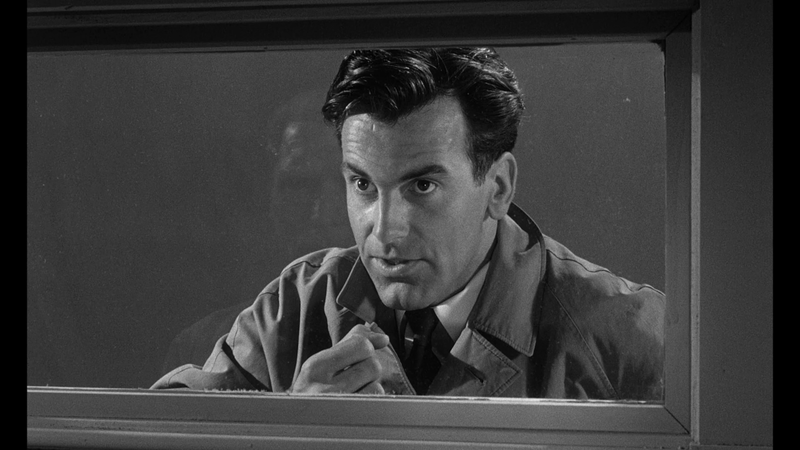 Along with the regular 6-page essay booklet, the disc includes In Conversation with Abby Mann and Maximilian Schell (19:38; SD), an interview between the two discussing Schell’s career and the film; The Value of a Single Human Being (6:03; SD) looks the issue of humanity and politics at the core of the film; A Tribute to Stanley Kramer (14:27; SD) has those who worked with the filmmaker recount his career and influence; and finally the Original Theatrical Trailer (3:00; HD) is included. 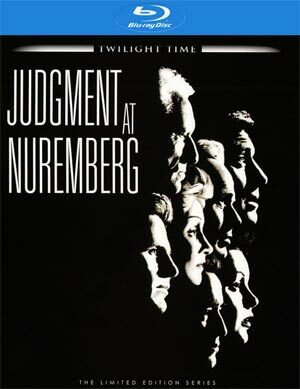 Judgment at Nuremberg arrives on Blu-ray courtesy of Twilight Time presented with an impressive 1080p high-definition transfer and in its original 1.66 widescreen aspect ratio. This classic drama has never looked better with stark dark levels with only minimal dust marks and scratches while detail levels are fantastically sharp. The movie includes both a 5.1 and 1.0 DTS-HD Master Audio tracks which sounds good either way, though the 5.1 channel option is more expansive providing more depth for the audio as well as crisp and clear dialogue levels throughout. I doubt this movie has ever sounds so good. 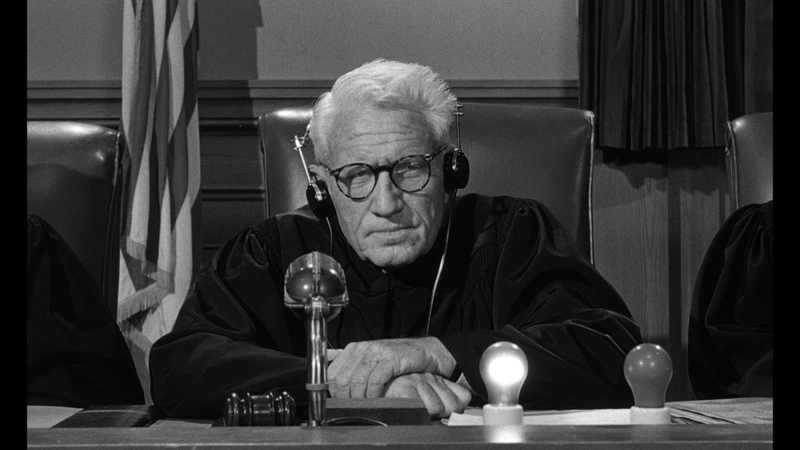 Overall, Judgment at Nuremberg is an engrossing, engaging and thought provoking court room drama featuring incredible performances from Spencer Tracy, Burt Lancaster and Richard Widmark. The Blu-ray released by Twilight Time offers up incredible video and audio transfers and the bonus material, albeit old, is well worth watching if only for historical value.